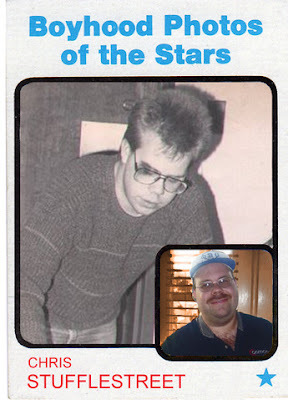 Big blow to the collecting world this month, as we lost expert blogger Chris Stufflestreet last week at the far-too-soon age of 39. 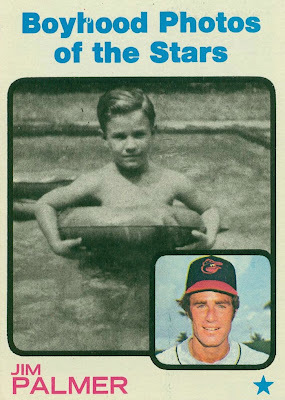 His regular writing included The Vintage Sportscards and 1973 Topps Photography, along with an unending supply of helpful answers to questions posed by collectors of all eras and interests. Chris spent most of his life around cards, as evinced by the above black-and-white photo, snapped by a local reporter at a card show in the mid-1980s. 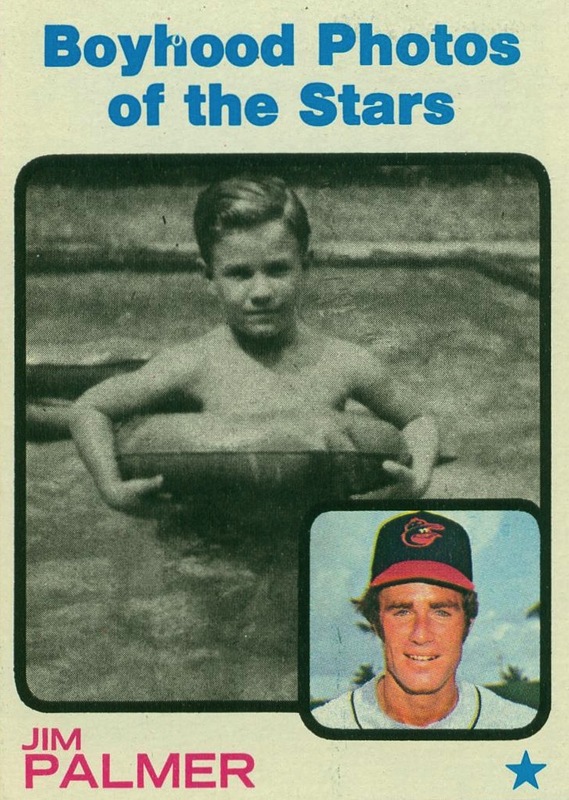 Chris's friend Tom Housley of OldBaseball.com (aka, OBC) composed this fitting tribute card, modeled after 1973 Topps "Boyhood Photos" subset. Due to his prolific writing and forethought, new (pre-scheduled) articles have continued to appear on both blogs following his passing. Thanks again Chris, I'll be reading each and every one. I enjoyed both of his sports card blogs. Chris will be missed by all who read his blogs.